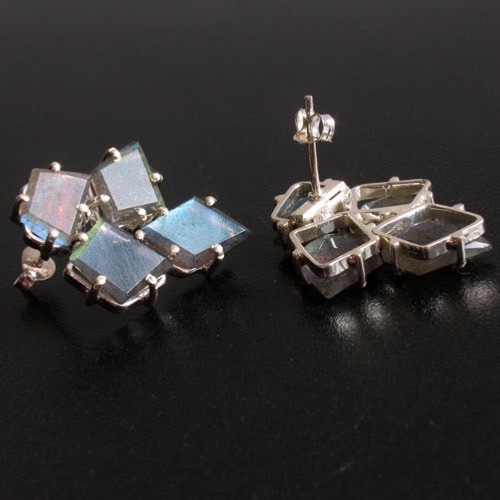 Faceted labradorite cluster earrings set in sterling silver. 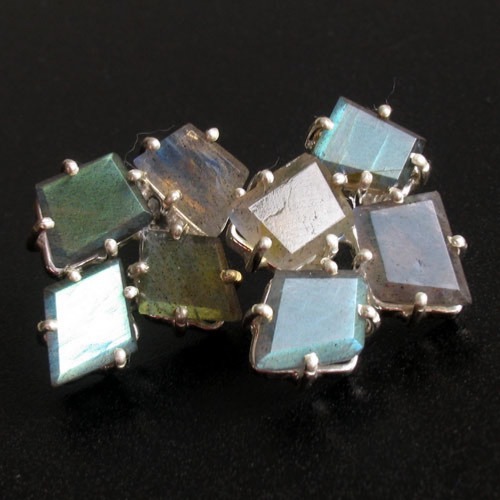 Labradorite gemstones glow with iridescence showing greens, blues, turquoise and gold. 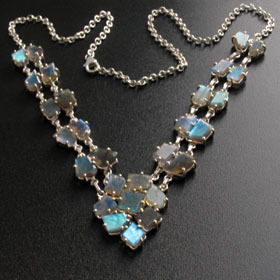 These faceted stones exaggerate the luminous characteristic of labradorite. 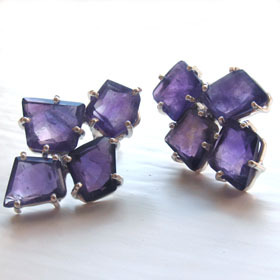 Utterly gorgeous, these large cluster earrings will add glamour to your outfit and a smile to your face. 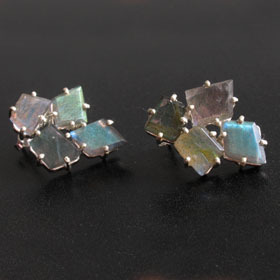 Glowing with the characteristic colours, each earring has 4 substantial emerald cut labradorite gemstones. The labradorites are asymmetrical and each pair of earrings is unique. 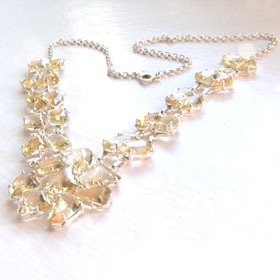 The labradorites are claw set in sterling silver and open at the back to allow light into the gemstones. 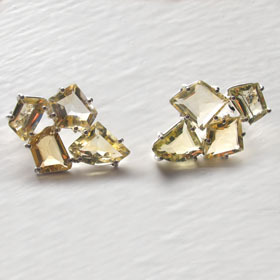 They fasten in your ear with a post and butterfly fastener hidden behind the top stone. 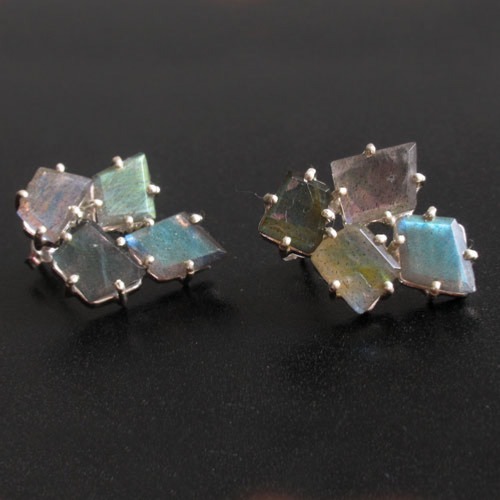 These fabulous labradorite earrings have a matching labradorite necklace, Helena. 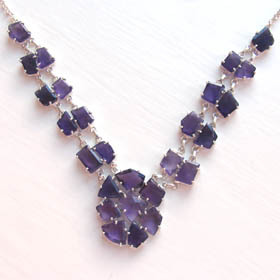 Take a look at all our labradorite jewellery!